Our tour office is located in the city centre at the address Zborovská 66 close to the Kampa park and across the river from National Theatre. All our tours start from this meeting point. Upon request we can pick you up and / or drop off at your hotel or any other place. We are here for you and we want you to enjoy Prague and all the things the city can offer as much as we do. Experience Prague on E-kickbike with us! Whole year from 9:00 till 21:00 (we recommend to call first). 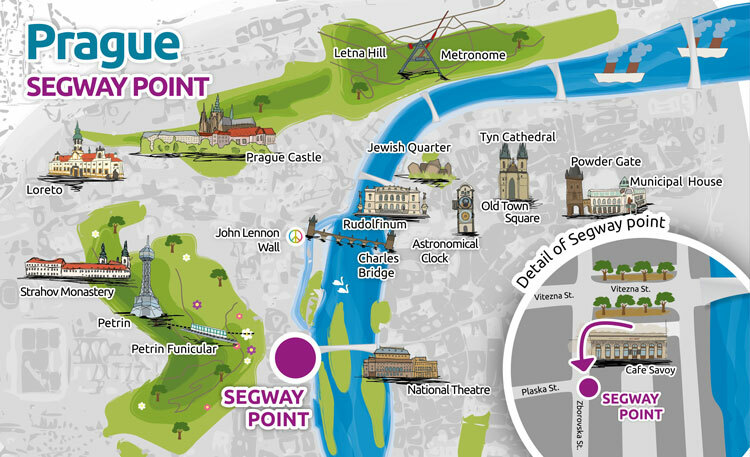 Segway Point is the official Segway authorized tour provider in Prague and it is also the longest established Segway tour operator here. It is directed by the official Segway distributor for the Czech Republic region. Segway Point is also operating the E-kickbike Tours and rental.